Jack Ma, executive chairman of the Alibaba Group. China's e-commerce giant Alibaba will launch an undergraduate programme in its Business School this September for students from Rwanda. According to information from Alibaba's Business School, 30 Rwandan students will join its International Business Cross-border eCommerce class and spend four years in Hangzhou city, where Alibaba is based, studying subjects including the Internet, international trade and cross-border e-commerce. The project is part of the agreement signed last year between the Rwandan government and Alibaba to build the Electronic World Trade Platform (eWTP). Launched in 2018 in Rwanda, the eWTP aims at promoting public-private dialogue in Africa to improve policy and business environment to enable small and medium-sized enterprises to participate in cross-border electronic trade. 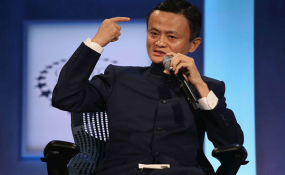 The Alibaba Business School was established in 2008 under the direction of Alibaba founder and Executive Chairman Jack Ma. The school kicked off its first international class last year, welcoming 18 students who are on track to earn an undergraduate degree in a four-year programme focused on e-commerce and how to excel in a digital economy. The inaugural international class, with an average age of 18, came from six countries in Asia, Central Asia, the Middle East and Africa. Rwanda was the first African country to launch eWTP. It is one of the initiatives the country has engaged in as it aims to become a regional hub of information communication technology.